Anee and Richard are welcoming a baby boy into their family this summer. Having 3 boys of my own, I always feel so much excitement when I meet moms who are expecting boys. They may be wild and uninhibited, but they love and protect their mama like no other. There truly is such a special bond between moms and little boys. Anee and Richard chose to have maternity portraits done in Irving, a large suburb of Dallas. The Mandalay Canals make an absolutely perfect backdrop for maternity pictures. The light is nice and dreamy and the architecture and greenery help create stunning images. This little gem of a location is tucked away in Dallas and is one of the best choices for a maternity sessions. 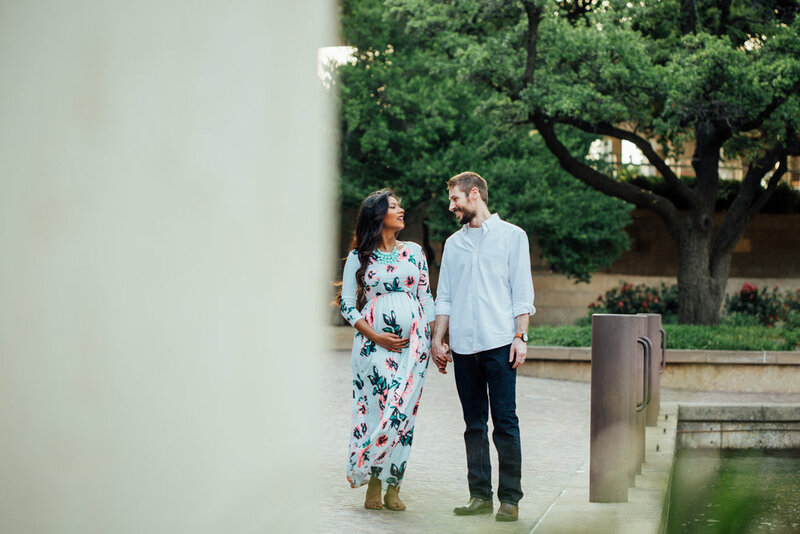 Are you expecting and wanting to book a maternity session in the Dallas/Ft. Worth area soon? I’d love to chat with you more about your vision and how you would like to document your pregnancy. Fill out the contact form here to get your appointment scheduled!